8 Secrets For Memorizing Things Easily - ShareIt! If you are among those people who just cannot remember small details, constantly ask questions to follow up, and cannot remember names of people they’ve met, or details in books and films, you should know that this is something you can improve. In the 1870’s, Hermann Ebbinghaus, a German psychologist, became interested in human memory and decided to conduct experiments in order to study it. He developed scientifically reliable experimental methods for the quantitative measurement of memory. He created lists of nonsense words and used them to evaluate pure learning, the learning of free meaning. He was aware of the fact that learning new information is affected by our knowledge, so he experimented with a material of little to no meaning. 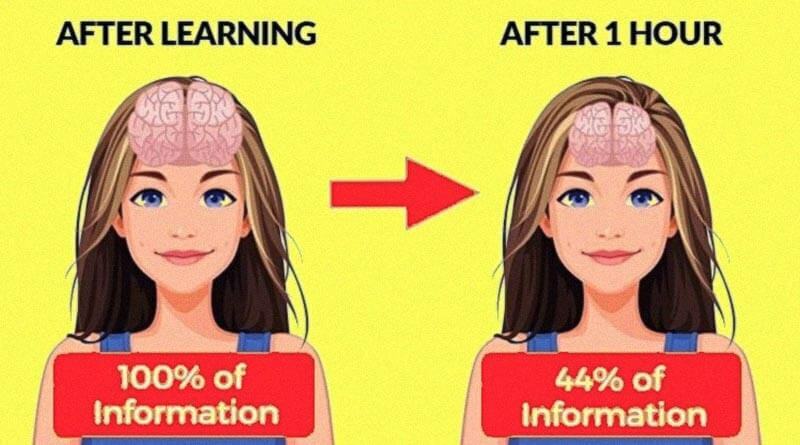 Hs findings created the ‘Forgetting Curve’, or the rate at which we begin to forget new information. He found that he has forgotten a significant amount of information in 20 minutes; and more than a half of the nonsense material within an hour. He forgot 2/3 of the learned material within a day, but the rest remained in his memory. This means that if the information retains for a day, it is permanently memorized. He also came up with another theory, The Spacing Effect, which maintains that we learn easier and better when we study the information more times, spaced out over an extended period. For instance, if you repeatedly study a speech a week before the event, you will learn it better than if you learn it the night before. Yet, this is the case for the information you want to keep it in your memory longer. 1.You need to initially understand what you are learning in order to be able to recall the information from your memory. 2.You need to have priorities and memorize the most important things first. 3.The serial positioning effect showed that we easily memorize things learned at the beginning and at the end. 4.When learning a foreign language, to expand your vocabulary easily, associate words with words you already know. 5.We remember opposites easier, so when acquiring new vocabulary in another language, learn opposites together, like the words for day and night. 6.When learning something, visualize and use body language, as this will stimulate muscle memory and you will easily remember then afterward. 8.The interference theory indicates that similar memories can get mixed together. Therefore, occasionally switch the topics when remembering things. So, all you need to do now is just to remember these things and you will never forget anything again!